The New York Stock Exchange listed its first cannabis cultivator Thursday, marking a key milestone that analysts say makes the industry more accessible to institutional and retail investors – and could draw large American banks to the sector. But in its NYSE debut, Ontario-based Canopy Growth got a chilly reception from investors. It closed the day down 6.7%, at $28.20. By comparison, the Marijuana Index, which tracks 41 leading medical cannabis stocks, lost 2.09%. However, the Dow Jones Industrial Average shed just 0.3%. Canopy Growth CEO Bruce Linton said the listing opens the doors to the largest investors and institutions in the United States. “As we are increasingly global, I am going to have more institutional support. And this is the most comfortable on-ramp for them,” he told Marijuana Business Daily. Canopy is active in eight countries. 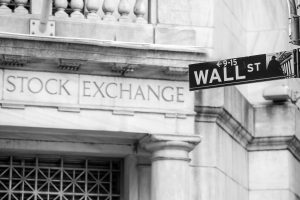 He said large U.S. banks involved in legal cannabis “increases many multiples” when stocks are on the NYSE and Nasdaq versus any of the Canadian exchanges. “There’s a lot of issues related to prime brokerage and clearing, and what banks will trade. But now by being on the New York Stock Exchange you alleviate all those,” he said. Canopy Growth follows Ontario-based Cronos Group as the only fully integrated medical marijuana companies traded on the two top stock markets in the United States. Cronos started trading on the Nasdaq under the ticker symbol CRON in February. But the listings don’t portend a flood of marijuana companies seeking listings on the NYSE and Nasdaq, experts say. Chris Damas, editor of the Barrie, Ontario-based BCMI Cannabis Report, said more stringent requirements in the United States present hurdles for any Canadian marijuana company considering the move. Let’s hope CGC does not necessarily follow in CRON’s footsteps as they are down from their high since appearing on the NYSE of $10.39 on 03/06 to yesterday’s close of $6.13, just over 40%. I think that it certainly more than just making it to the ‘big show’ here in the US, it is also about the fact that the more sophisticated investor, funds, and institutions (all having different horizons for their investment strategies) will likely focus on these company’s paths to profitability and what a more normalized value may look like over the next 18-24 months as both Canada’s adult market launches/evolves in combination with the evolution of the US and Global Cannabusiness markets. I wish them both (CGC and CRON) good fortune in the future! I am not knowledgeable enough for such reliable speculation but … I think these companies all have potential but clearly the Canadian market caps seem abit high to me while many of the US companies (public and private) seem to be a bit low (TRTC, KSHB, etc.) when you look under the hood abit and compare revenues, operating expenses, and profit/loss positions.